Cape Town - The Stormers have made six changes to their starting line-up for Saturday's Super Rugby encounter with the Blues in Auckland. There are three changes to the backline and three in the forward pack for the clash, which kicks off at 08:35 SA time at Eden Park on Saturday. Damian Willemse comes in at fullback, with Dillyn Leyds shifting to the left wing and Dan du Plessis back at outside centre. Flyhalf Joshua Stander comes in on the bench. There are two rotational switches up front, with Jaco Coetzee at No 8 and Wilco Louw at tighthead prop, while a fit-again Eben Etzebeth comes into the second row in place of the injured JD Schickerling. As a result utility forward Cobus Wiese will be amongst the replacements. Following feedback from a specialist, Schickerling has returned to Cape Town to recover from a shoulder injury and is expected to be out for three weeks. Loose forward Kobus van Dyk has joined the squad in his place. Lock Salmaan Moerat is not available this weekend due to concussion sustained against the Hurricanes, but is expected to be fit next week. 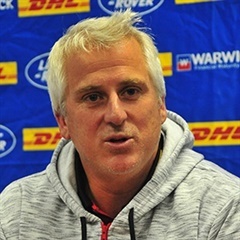 Stormers head coach Robbie Fleck said that his team is determined to be as clinical as possible in Auckland. "We have got great energy among the group and the players are all keen to get out there and show what we are capable of, so we are looking forward to it. "It will be important for us to be composed and focused as we look to keep improving and building our game, he said.